Thousands of people were expected to come together for an emotional Friday prayer service led by the imam of one of the two New Zealand mosques where 50 worshippers were killed in a white supremacist attack. Two more of the victims were being buried Thursday as authorities identify and release more of the dead. Imam Gamal Fouda said he is expecting 3,000 to 4,000 people at Friday's prayer service, including many who have come from abroad to be with members of Christchurch's Muslim community and to attend funerals. Fouda said he has been discussing plans for the prayer with city officials and lawmakers and expects it will take place in Hagley Park, a city landmark across from Al Noor mosque, where at least 42 people were killed. Members of the Linwood mosque, where the gunman killed at least seven people, also would attend the joint prayer, he said. Two of the students' peers were killed in the massacre at two mosques in Christchurch, New Zealand. Al Noor workers have been trying feverishly to repair the destruction at the mosque, Fouda said. "The support we have been getting from New Zealand and the community has been amazing," he said. 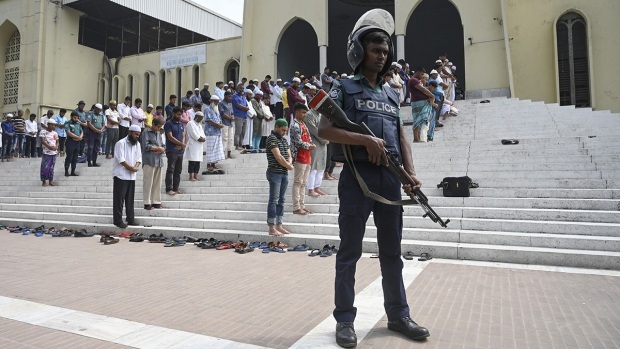 During Friday prayers last week, Fouda had just finished the Khutbah, a sermon delivered in Arabic, and was translating it into English in when the gunman burst into the mosque and methodically gunned down worshippers. Fouda said his sermon had been about cooperating with each other, doing good and stopping evil. 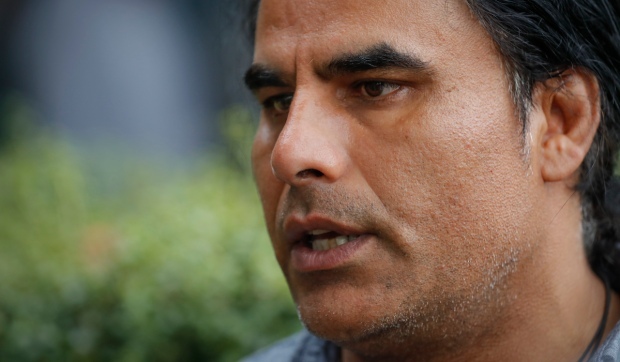 Abdul Aziz, 48, originally from Kabul in Afghanistan, was at the Linwood mosque in Christchurch, New Zealand, with his family when a gunman attacked on Friday. A day layer, he described running outside and trying to chase the shooter, throwing a gun the shooter had left behind at the attacker's car. Two funerals on Thursday were for 14-year-old Sayyad Ahmad Milne, a Cashmere High School student known as an outgoing boy and the school's futsal goalkeeper; and Tariq Rashid Omar, 24, a recent graduate of the school and beloved soccer coach of several youth teams. He also played during the summer. Families of those killed had been awaiting word on when they could bury their loved ones. Police Commissioner Mike Bush said authorities have formally identified and released the remains of 21 victims. Islamic tradition calls for bodies to be cleansed and buried as soon as possible. Police said Wednesday that they believe the gunman was on his way to a third mosque when officers ran him off the road and arrested him. Australian Brenton Harrison Tarrant, 28, livestreamed the attack on Facebook and said in his manifesto he planned to attack three mosques. Tarrant, 28, has been charged with murder and is next scheduled to appear in court on April 5. Police have said they are certain Tarrant was the only gunman but are still investigating whether he had support. Ardern has said changes to New Zealand's gun laws would be announced next week and an inquiry would look into intelligence and security services' failures to detect the risk from the attacker or his plans. New Zealand's international spy agency, the Government Communications Security Bureau, confirmed it had not received any relevant information or intelligence before the shootings.